In many elementary schools across the country, students have stuck feathers on brown paper sacks to make Native American headdresses, carefully cut out patterns for large black Pilgrim hats with shiny gold buckles, and met over cafeteria lunch tables adorned with platters of cranberry sauce and green beans to reenact a story of Thanksgiving that has been handed down through generations. But for poet Allison Adelle Hedge Coke, that narrative of the first Thanksgiving — when historians believe English pilgrims and the Wampanoag tribe gathered in modern-day Plymouth, Massachusetts — isn’t about breaking bread, but rather the effort to eradicate an entire population. “What were they celebrating? [The Pilgrims] were celebrating taking over. They were celebrating colonization. They were not celebrating the indigenous people who had helped them survive,” she said. For Hedge Coke, too often colonizers have brushed aside blame and claimed their actions were for the greater good, an idea that allows oppression to pass between generations like a song you can’t get out of your head. 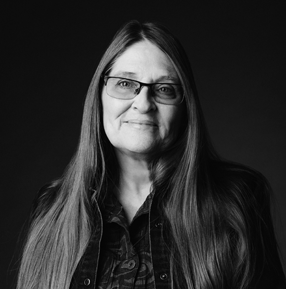 Allison Adelle Hedge Coke has published five books featuring Native voices to raise awareness of what’s happening in their communities. Photo courtesy of Hedge Coke. Hedge Coke uses poetry to amplify the Native American call for reclamation, and has published five books featuring Native voices to raise awareness of what’s happening in their communities. For Hedge Coke, her people’s usurpation by European settlers is not just a historical problem. “I wanted the genocide that is still happening to Native people to be turned, to present a window for some restoration of rights,” Hedge Coke said. 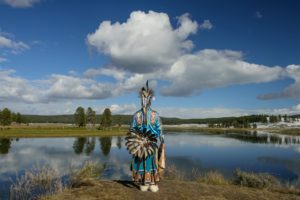 Nearly 400 years on, Native Americans say reclamation hasn’t come, and the perpetuation of the Thanksgiving narrative may be part of the delay. But some educators have changed the way they teach that history, and debunked some of the enduring myths. And today, Hedge Coke also points to the victories of Deb Haaland and Sharice Davids, who became the first Native American women elected to Congress this November, as a sign of progress and hope. Allison Adelle Hedge Coke was born in Amarillo, Texas, and grew up in North Carolina, Canada and on the Great Plains. Hedge Coke has worked in factories, tobacco fields, waters and the food service industry since early youth. She finished her GED at 16 years old and went on to study photography, traditional arts, and writing in community education classes at North Carolina State University.